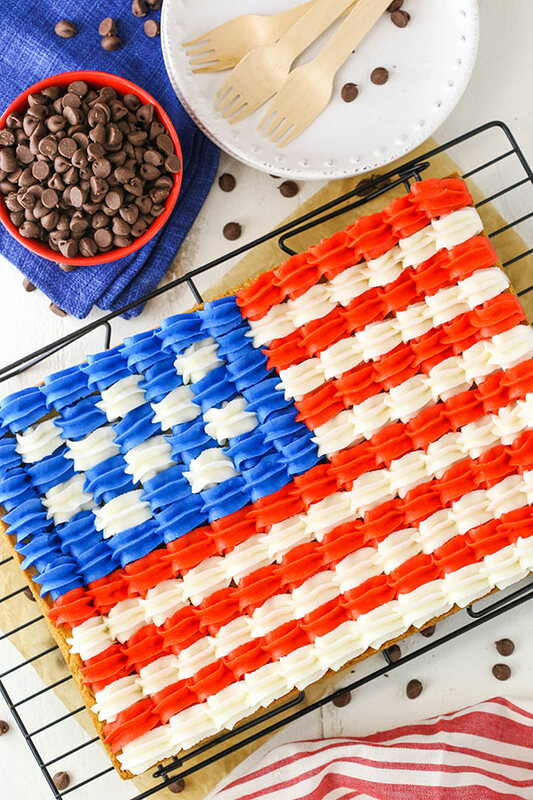 This Flag Chocolate Chip Cookie Cake is a classic 9×13 chocolate chip cookie that’s decorated with buttercream in the design of the American flag for the 4th of July! 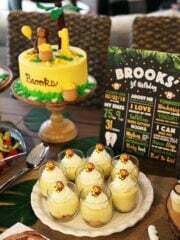 It’s delicious, easy to share and the perfect addition to your celebration! Although I haven’t posted many cookie cakes lately, it should be no surprise that I’m a fan since I actually have quite a few in my archives. I grew up on classic chocolate chip cookie cakes and have made many remixes of them. Some of my favorites would be the Funfetti Cake Batter Chocolate Chip Cookie Cake (please excuse the super old photos), the classic Chocolate Chip Cookie Cake (again, old photos, but great recipes) and this Reese’s Peanut Butter Chocolate Cookie Cake. 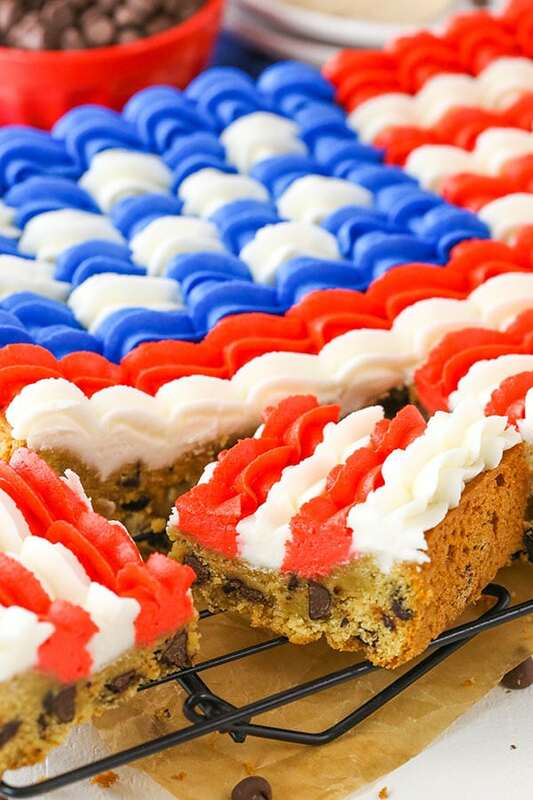 Now I can add this Flag Chocolate Chip Cookie Cake to the list! So fun! And while this cookie cake is a classic chocolate chip cookie, it’s a nice, big size that I haven’t shared before and it’s covered in a good full layer of buttercream! It’s the perfect cookie to frosting ratio that I like. For me there’s just something super tasty about a chocolate chip cookie covered in frosting. Get in my belly! So while the recipe is your basic chocolate chip cookie in many ways, there are a few things I’d like to note. Definitely! You can totally make the cookie dough a few days ahead and refrigerate it, if you like, but you certainly don’t have to. 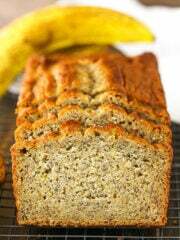 You can even bake it a couple days ahead – just be sure to store it in a good air-tight container. I love this one (I have 3). Do I have to use semi-sweet chocolate chips? You can use whatever chocolate chips you prefer – you can even mix in fun things like Reese’s and M&Ms. So many possibilities! I’ve baked the cookie for the amount of time listed and it looks undercooked. That’s by design. I like to under bake the cookie just a bit. It’ll continue to cook as it cools in the pan and then firm up really nicely. If you prefer it a little more cooked though, feel free to add another 3-5 minutes. How do I get such a big cookie out of the pan without it breaking? I like to use a cooling rack and a cardboard cake rectangle (you could also use two cooling racks). I place one cooling rack against the top of the cake pan, then flip it all over. Immediately and quickly place the cardboard cake rectangle on top of the cookie cake (which is the bottom) and flip the whole thing over using the cooling rack to help keep the cookie cake in place. Remove the cooling rack from the top of the cake and you should have a fully intact cookie. 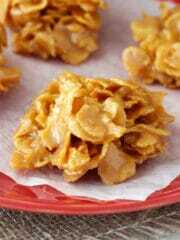 You could also refrigerate the cookie ahead of time so that it’s firmer during the removal from the pan. Can I use something instead of shortening in the frosting? You sure can! You can simply replace it with additional butter. I personally like using the combination of butter and shortening (read about it here and here), but feel free to swap it out. Just keep in mind that if you’re going to a BBQ for the 4th or will be outdoors, the shortening would actually help the frosting not get too soft, like all butter would. What icing tip did you use for the frosting? I used the Ateco 844 tip, but the Wilton 2D is very similar and more easily available in stores. How do I color the frosting? I use gel icing color as opposed to food coloring. 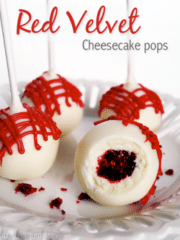 Food coloring would require quite a bit to get these rich colors and would end up thinning out the frosting too much. 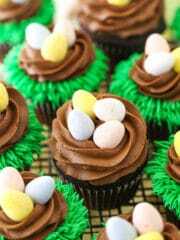 To use the gel icing color, I use toothpicks to take a small amount out of the gel container at a time and add it to the frosting. I continue adding additional gel until I have the shade I want. In the cake of the red and blue, you want deep colors so expect to add a little more than you would with other colors. I hope all those tips are helpful! 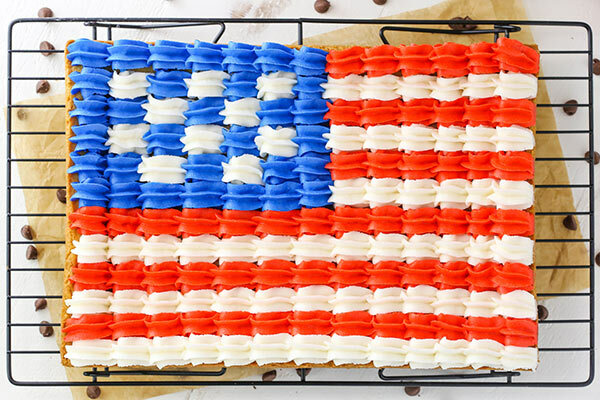 I can’t wait for you to make this Flag Cookie Cake for the 4th of July. It’s sure to be a hit! 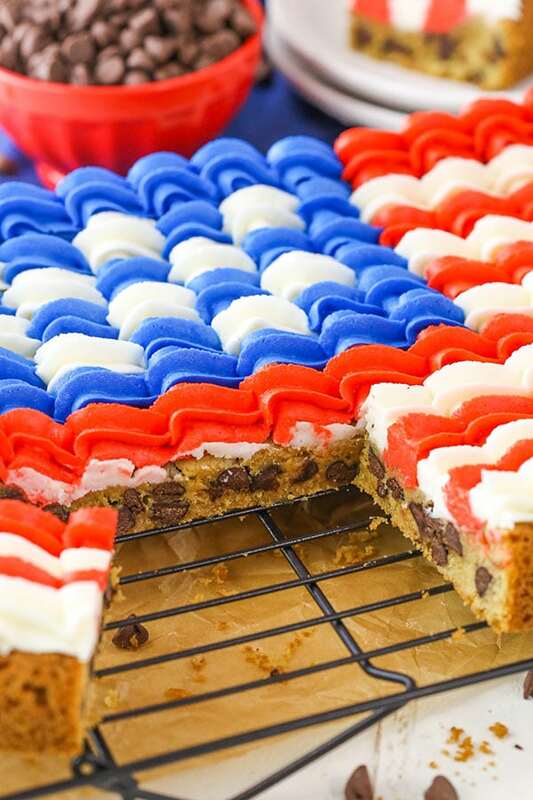 This Flag Chocolate Chip Cookie Cake is a classic 9×13 chocolate chip cookie that’s decorated with buttercream in the design of the American flag for the 4th of July! 3. Mix the eggs one at a time, mixing just until combined before adding the next. 4. Add the dry ingredients in two batches, mixing until combined. Dough will be thick and sticky. 6. Press the dough evenly into the cake pan. I used my offset spatula to spread it around in the pan, since it’s sticky. 7. 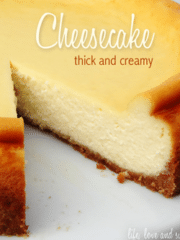 Bake for 22-27 minutes or until the edges are lightly golden. The center will look a touch undercooked, but it will continue cooking and firm up as it cools. 8. Remove from oven and allow to cool completely in the cake pan, then transfer to serving plate. I find it helps to refrigerate the cake only after it has cooled to firm it up before removing from the pan. It helps it stay together while you remove it from the pan. To remove this from such a large pan, I use a cooling rack and a cardboard cake rectangle (two cooling racks would also work). I place the cooling rack against the top of the cake pan, then flip it over. Immediately and quickly place the cardboard cake rectangle on top of the cookie cake (which is the bottom) and flip the whole thing over using the cooling rack. Remove the cooling rack from the top of the cake. 13. Divide the frosting into 3 bowls – roughly 1 1/2 cups will remain white, roughly 1 1/4 cups should be colored red and roughly 3/4 cup should be colored blue. 14. 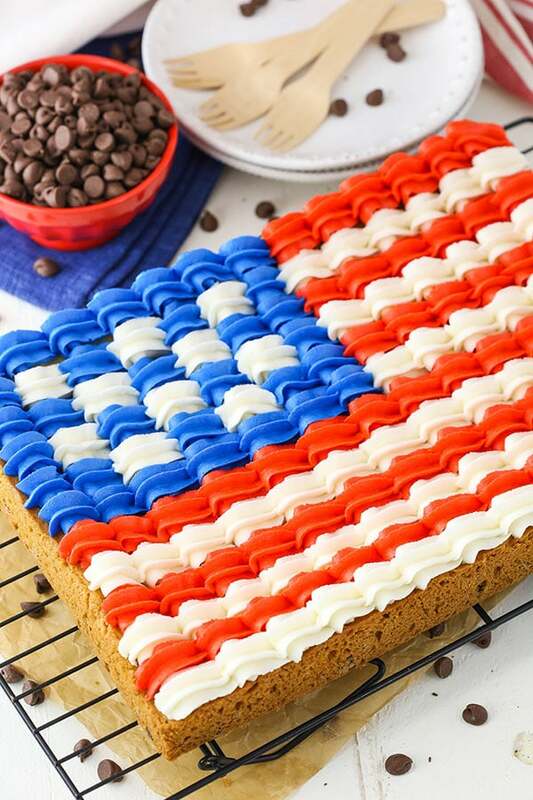 Pipe the frosting onto the cookie cake in a flag design (I used Ateco tip 844). To pipe the blue area, start with 7 blue shells in the top left corner for the first row. For the second row, alternate blue and white shells with blue shells as the first and last. For the third row, start with 2 blue shells, one white, one blue, one white and two more blue. Add two more rows that alternate blue and white shells, then finish with another all blue row. Finish the remaining cookie cake with alternating rows of red and white stripes. 15. Store in an airtight container until ready to serve. What brand of gel food coloring do you use and how much do you use to get those great colors?! I have such a hard time getting the colors right. Sorry for the late response! 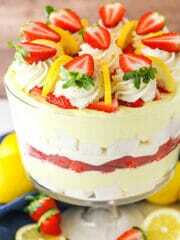 I use Wilton brand. It’s hard to say how much, since it’s the gel, but I start out with a small amount and then add from there. 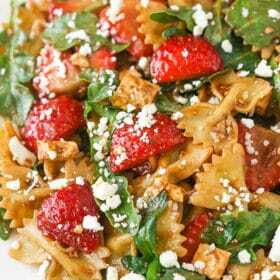 I have loved all of your recipes I have tried and I have tried Atleast 10 of them! I check your blog every few days to see what else you have come up with! 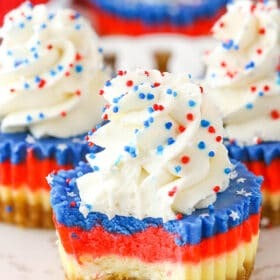 I am going to try this for July 4th! I’m so glad to hear you enjoy everything! I hope you enjoyed the cookie cake! the link for the air tight container brings up a cupcake carrier. is this correct? It is. The cupcake inserts come out and leave you with an awesome cake carrier. It’s big enough for a 9×13 cake and tall enough for a layered cake. 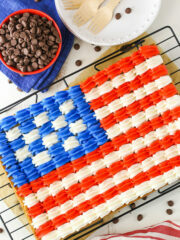 For the flag cake what tip # did you use for the piping? Here’s a recipe for Chocolate Chip Cookies – I hope that helps! 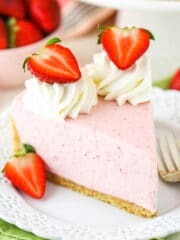 If I want to use canned icing, just to make it easier, would you suggest vanilla or buttercream? I’ve searched other websites and several are saying vanilla. Thanks! In my experience with canned frosting, it isn’t really thick enough for piping. 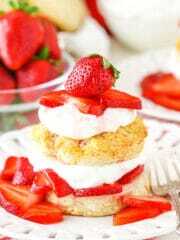 The frosting used here would be best and shouldn’t take too long to make. 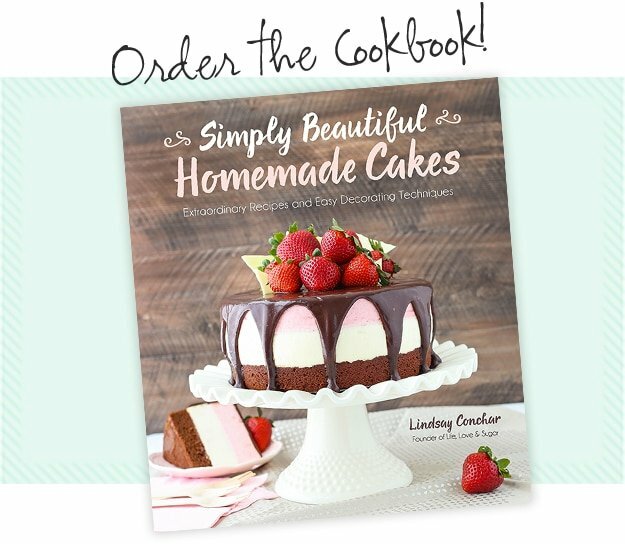 Thank you sooo much for posting this recipe it looks beautiful! thank you! ???????????????????????? Why both baking soda and baking powder? It improves the rise and texture of the cookie. The only secret is really that it takes a lot of coloring. It’ll feel like it’ll never turn red, but it will eventually.